The evolution of banking is happening faster than perhaps anyone could have anticipated. The wake of new technologies has brought heightened customer expectations, where inefficient legacy processes no longer suffice. In addition, a constantly morphing regulatory environment has in effect ushered in new restrictions and simultaneously new forms of competition. Many banks, particularly in the US, have been quick to meet customer expectations and provide their customers with excellent online self-service technologies. Yet, surprisingly, performance across the sector has been unpredictable. Large banking institutions in particular struggle to meet customer expectations in the areas that are most important to them, risking their sense of customer loyalty in a competitive industry. 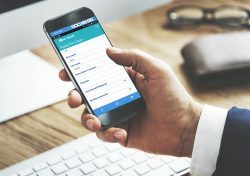 Despite the availability of digital banking facilities, customers are still choosing to interact with their bank at local branches and over the telephone. In its 2018 Digital Banking Consumer Survey, PWC found that 60% of consumers said that having a conveniently located branch is important, while 25% wouldn’t open an account at a bank if it didn’t have a nearby branch. While satisfying the interests of customers would do wonders to profit margins, knowing just how to accomplish this has shown to be a momentous challenge. One way banks can make their customers happier and keep their bottom line in check is by implementing digital self-service solutions. With digital self-service, banks are meeting customer expectations of service efficiency, whilst also building trust in using these digital platforms so customers turn to them, instead of the branch of the telephone. One of the most common features available for digital banking is the ability for consumers to check their account balance. Easily accessible and with minimal perceived risk, it is not surprising that this service has one of the highest numbers of digital adoption. With it clearly displayed on a visual interface, customers can also update their personal details and check the status of transactions. PIN activation and replacement continue to be the most common issues addressed by banking call centers. However, this issue can be easily managed in self-service via the customer’s own smartphone. Automated processes enable customers to activate new usernames and passwords. Financial institutions can also enhance their authentication processes through fingerprint, voice biometrics and face recognition, all of which are set and activated via customer interaction with their smartphone. If consumers ever perceived any risk of transferring money online, those days are over. The 10% of customers who just a year ago banked online via a web browser have now become the 15% of users who only do their banking on their smartphones. And this trend shows no sign of slowing down. Not only is the proportion growing (to over 50% in both online/PC and mobile), but so is the frequency. Digital self-service should, therefore, be built around mobile payments as increasingly consumers view basic banking engagement via a smartphone as indispensable. And, the ability to transfer money can also extend to credit and debit card activities. As mentioned earlier, loan applications tend to be one of the services that customers would prefer to receive face-to-face assistance. However, in order to minimize the associated costs of a branch or call center, banks must optimize the provision of agent services as much as possible. An ideal solution is to provide a seamless omnichannel experience, where a live agent can be contacted by the client at the precise point where additional support in the loan application process is needed. In this agent-caller collaboration session, the agent doesn’t need to start the process from the beginning but has all the background information of what the customer has completed so far. The agent can then assist in opening a new account, completing a loan application or any range of activities to close out an activity in just one interaction. The PWC 2018 Digital Banking Consumer Survey also found that despite digital adoption, branch usage continues to grow. While this may seem counterintuitive, many speculate whether this is due to branch closures, which have diverted more customers to remaining branches. Alternatively, the inability for many banks to provide the means to open an account digitally forces consumers to go into a branch, despite their preference not to. In either case, online searches for branches continues to be high, indicating that it should certainly be an important component of a bank’s digital self-service framework. The banking rules of yesterday are becoming increasingly redundant as a new generation of customers embrace new technologies and new business models. Yet even within this new banking arena, the primary touchstones of banking remain; cost reduction, product marketing and risk management – often to the detriment of customer demands and business growth. Digital self-service supports the former, whilst ultimately seeking to bolster the latter. In this era of digital transformation, banks must evolve, too, or customers will simply walk out of the branch for good.